Santa Rosa Beach, Fla. — Aug. 31, 2016 — Maui Waves, Inc. recently unveiled plans for a new coastal retail store at the corner of CR 30A and Dalton Drive in Seagrove Beach. Named 30A Trading Company, the 7,000 square-foot retail building will supply residents and visitors with access to high-end resort wear, beachwear, gifts as well as jewelry, art and other goods made by local artists and vendors. 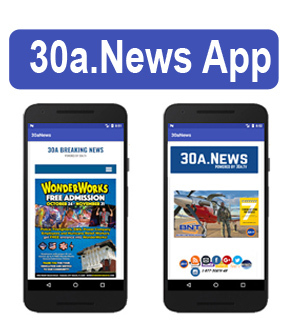 The owners and operators of 30A Trading Company, Nick and Simone Afuta, are dedicated to the 30A community and look forward to the opportunity to serve residents and visitors. “We see the 30A Trading Company as a place for customers to come shop locally for a range of unique merchandise without having to drive farther distances,” said Nick Afuta. The area is designated village mixed use (VMU) in the Walton County Comprehensive Plan. VMU is a commercial land use district and allows a variety of uses including, but not limited to, restaurants, office, retail, limited lodging, etc. “The proposed use of a retail store is a significantly less intensive use than other uses currently allowed in the VMU land use category,” added O’Connell. Pedestrians and bicyclists will have access to the store by way of the shared use path (Timpoochee Trail) along 30A. The section of Dalton Drive adjacent to the property will be improved and used to access a paved parking area located behind the proposed building. Hi-res images, maps and more information about plans for 30A Trading Company is available at www.oconnellengineers.com/30atradingcompany.